Carmakers like to talk enthusiastically about good crash-test results, but they can seem somewhat abstract compared to real-world crash damage. A car protecting its occupants in a crash can make a much bigger impression on them--or anyone who witnesses the destruction--than a thousand lines of ad copy. 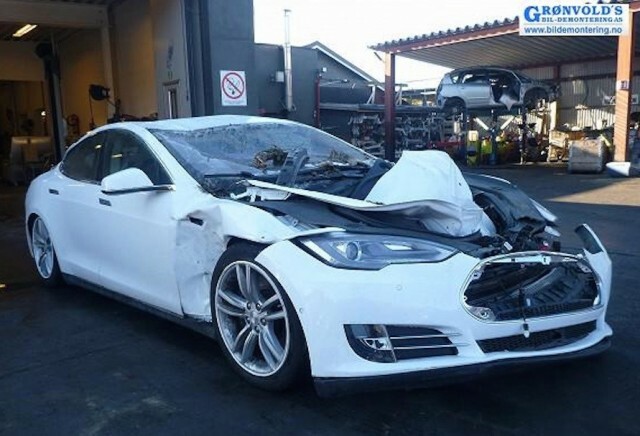 This Tesla Model S crash will likely be one of those reputation-building moments. The car got caught in a landslide, but saved its two occupants--a woman and child--from being crushed, according to a post about the incident on the Tesla Motors Club forum. 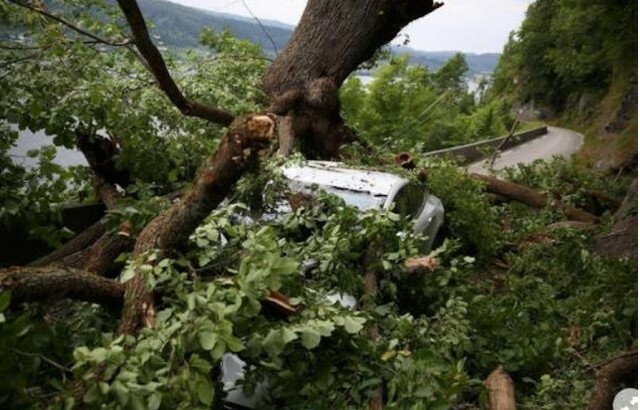 According to the post, the car was pushed near the edge of a cliff in the landslide, and a large tree landed on top of it. 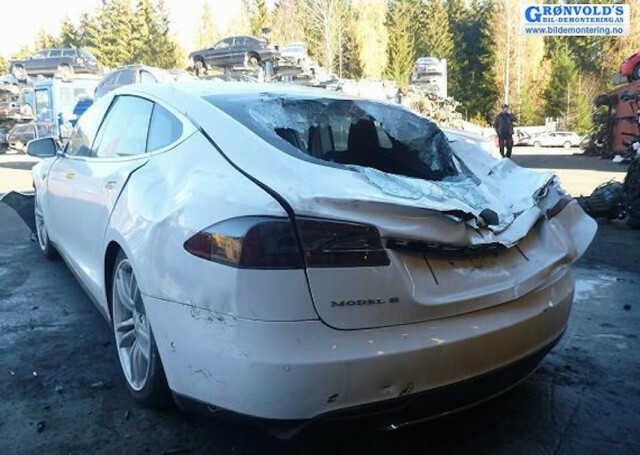 But despite the Model S itself getting crushed, its two occupants apparently made it out intact. Needless to say, the car was a little worse for wear. The front trunk (or "frunk," as many Tesla owners call it) hood was crumpled like a used tissue, the front fascia was ripped away from the car, and the front fenders were bruised. ALSO SEE: Tesla Reliability, Take Two: Are Newer Owners Less Tolerant? At the back, the entire rear section was deformed into a "V" shaped where the trunk of the rear tree came to rest. That also smashed the glass on the rear hatch, although the windshield did not shatter. And while the front and rear ends appear fairly crumpled, the roof appears largely intact. Tesla has always touted the crash-worthiness of its cars, but most safety-related discussions about the Model S over the past couple of weeks have centered on the new Autopilot system. Currently available in North America only, the much-anticipated Autopilot allows a car to perform certain functions autonomously--including steering itself in highway traffic. Autopilot was released as a software update for the roughly 60,000 Model S sedans and Model X crossovers equipped with the necessary hardware. But Tesla considers this initial release only a "beta" test, and says there's still additional work to do--perhaps building to full autonomy over the next few years. Tesla Reliability, Take Two: Are Newer Owners Less Tolerant?